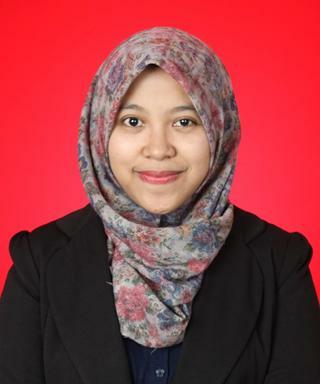 Ms. Naila Rizqi Zakiah holds a Bachelor of Law degree from the University of Jember in East Java, Indonesia. During college, Ms. Naila discovered her passion for juvenile justice while volunteering at LBH Masyarakat Jember, the only legal aid organization in Jember at the time. After graduation and passing her Bar in 2014, Ms Naila became a Public Defender at LBH Masyarakat providing legal assistance to underprivileged and marginalized people. Aside from her public defense work, Naila volunteers at Sahabat Anak, teaching street children to read, count and speak in English. The Challenge: Indonesia enacted Law Number 11, regarding the Juvenile Criminal Justice System in 2014. The goal of this law is to provide better protection of the rights of children in conflict with the law and promotes children’s interests as a top priority. However, this law is poorly implemented. Through her work with LBH Masyarakat, Ms. Naila has witnessed many challenges faced by children and youth who have committed crimes. At Lapas Klas IIA Salemba, Jakarta and Rutan Pondok Bambu, Jakarta, children and youth were not separated from adult offenders and often received cruel and degrading treatment from police officers. These youngsters were unaware of their rights and most believed they deserved such treatment as a consequence of their actions. Project: Ms. Naila is in-charge of legal counseling for underage detainees in LBH Masyarakat and with only one other colleague to work with they are heavily under staffed. Realising the need for a more sustainable and effective way of educating and assisting the underage detainees, she established the program, “Underage Legal Mentors for Underage Detainees”. Naila has conducted two legal counseling sessions in Salemba prison where 44 detainees participated. These sessions focused on encouraging the detainees to share their experiences more than advising them on legal procedures and recruited potential mentors for the program. Naila educates underage inmates regarding the rights of children in conflict with the law sharing legal information and best practices. In turn, they have become mentors to other underage detainees. Having already gone through the legal procedures they understand what juvenile detainees face. This experience combined with the training on their legal rights has enabled them to provide effective legal mentorship for underage detainees. Encouraging juvenile detainees to help others has the added benefit of a much more positive self image that they will carry through post incarceration and reintegration into society . Ultimately educating the juvenile prison population and authorities about legal rights helps to eradicate abuses in the prison system. Naila has also recruited three students from the university who are also prepared to be mentors and two have already undergone the training held in August, 2016. She has also created a brochure covering the rights of children in the criminal justice system. Used primarily to train inmates, they also as well as raise public awareness regarding the rights of children and have been circulated to paralegals in the community. Currently, Naila is coordinating more training’s with the Salemba Correctional Facility and plans to host a training early 2017.